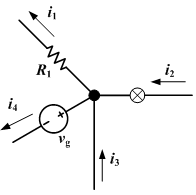 where I is current (in A), Q is charge (in C) and t is the time it took for the charge to flow (in seconds). 3. In the diagram on the left, I = 9A, and I1 = 4.5A. What is the current at I2? 5. In the diagram on the left, in 5 seconds, 5C of charged particles flow past I1, and 6.7C flow past I2. How long does it take for 10C to flow past I? This page was last edited on 25 April 2017, at 20:23.